GATE is West Contra Costa Unified School District’s program for gifted and talented students. The GATE program encourages and challenges students to make the most of their unique abilities by learning at higher levels. GATE is provided by the classroom teacher, who enriches parts of the curriculum in order to challenge GATE students. They do this by changing what they teach, how they teach, or what the student is expected to do. Sometimes, teachers group GATE students together to work on an assignment. If this group arrangement is expected to last for a significant period of time, you will be notified and asked permission. In addition, middle school students in the GATE program have access to accelerated classes, including high school math courses. High school GATE students have access to honors and Advanced Placement (AP) classes, which offer them the opportunity to get ahead and earn college credit. When and how are students identified for GATE placement? All students are screened for GATE placement in third grade. Based on initial test scores and teacher ratings, some students are identified for further testing. The district will ask you for permission before administering further testing, and will ultimately notify you about your child’s placement. Write a request to the principal asking that your child be tested. Use this sample template to get started. If your child is in 4th-8th grade, ask the teacher to complete the Teacher Rating Scale. If your child is in 9th-11th grade, ask three (3) teachers to complete the form. The school team and district will review the referral, and decide whether your child qualifies for GATE. In some cases, they will ask to conduct further testing. Once a final decision is reached, the district will notify you and your child’s school. 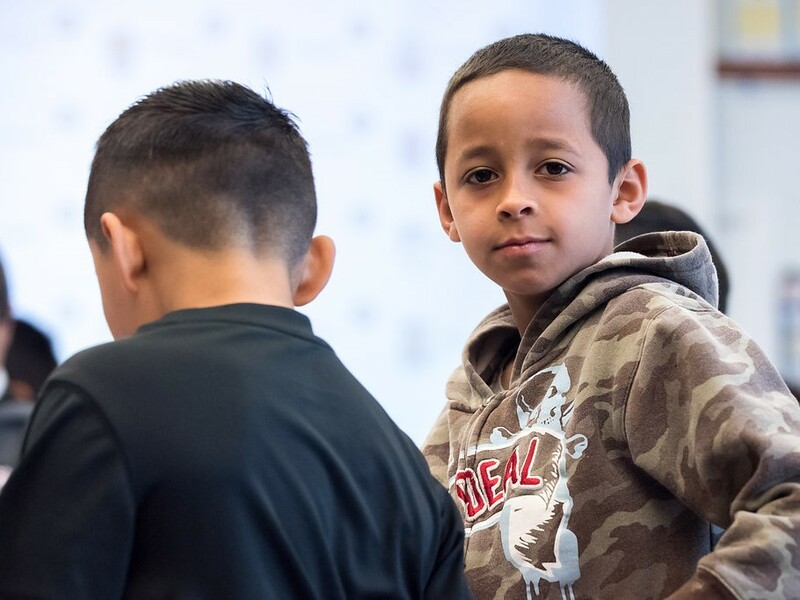 Click here to learn more about WCCUSD’s GATE program, or contact Lyn Potter (Categorical Instructional Support Services) at lpotter@wccusd.net or (510) 307-4505.